Surrondings Luján area (Religious pole of attraction). 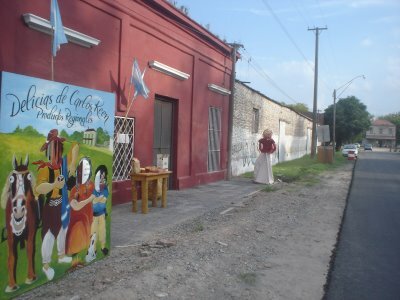 In the same way, we can mention the cultural and socio-economic impact taking place in the surroundings of the city of Luján, since the Basilica “Nuestra Señora de Luján” and Enrique Udaondo Museographic Complex have been declared a historical heritage of the Argentine Republic. Lujan received annually between 5 and 6 million pilgrims, is the largest centre of religious tourism in South America, which brings the city of Lujan a huge revenue stream that do not reach the surrounding areas. For instance, this impact can be observed in the area that covers the cities of Luján, Pilar and General Rodriguez, where one of the most important urban-sport concentrations of the country has been formed, represented by over 60 Closed Neighbourhoods, the Field and Polo Resort and a stunning gastronomic centre in the old town of Carlos Keen, only 13km from the city of Luján. This growth comes with numerous socio-economic, environmental and geo-political issues, represented by the ambition for land and green spaces, disordered structures, lack of services in accord to the new geographical dimensions, the accumulation of garbage at times of high flow visitors, among others.